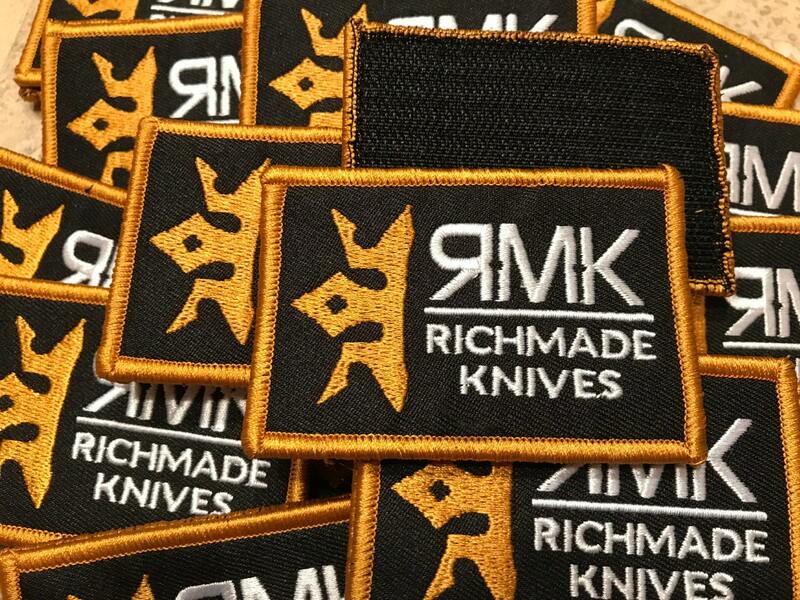 RichMade Knives Tactical Patch. Size is 3" wide by 2" tall. Has velcro hook backing. Fully stitched with a merrowed gold border. These are great patches!